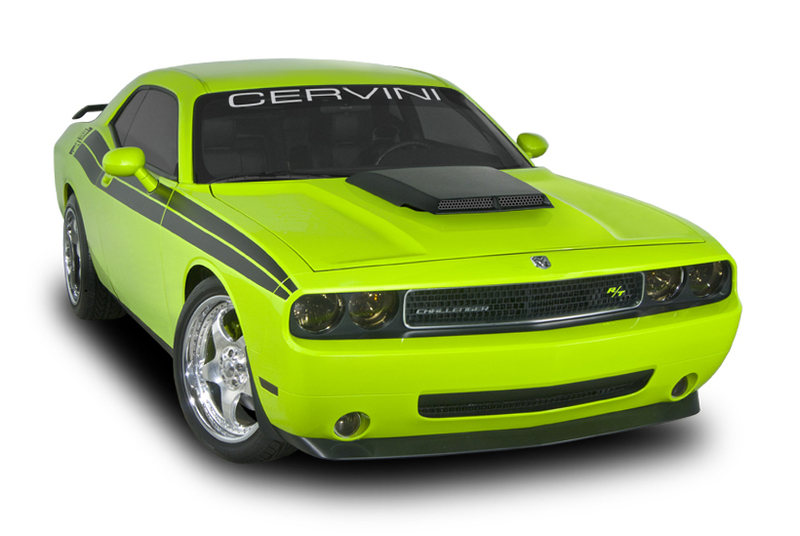 Cervinis Fiberglass T/A Style Hood 08-up Dodge Challenger Fiberglass T/A Style Hood 08-up Dodge Challenger, Cervini's 8045 Challenger Hood, Dodge Challenger T/A Hood, Challenger T/A Hood, Dodge Challenger Fiberglass T/A Hood, Challenger Fiberglass T/A Hood, Dodge Challenger Hood,Dodge Challenger Fiberglass Hood [Cervinis 8045 Challenger Hood] - $1,599.95 : 3rd Strike Performance, Your Source for Late Model MOPAR Performance Parts and Accessories! Our T/A Hood includes a functional Cold Ram Air Kit which includes a 9” K&N High-Flow Conical Air Filter. Our Ram Air System is dyno proven to add up to 15 Horsepower! The T/A Hood is made of premium hand laid fiberglass, while the scoop & cold ram air kit are made of injected molded urethane. Perforated Ram Air Screen included. The Hood bolts on utilizing all OEM hardware & features a fully finished underside liner which can be painted for a show quality appearance. As with all Cervini's hoods the hood arrives ready to install with no cutting, drilling or trimming required. The T/A style hood also features a fully finished underside, which is a must for any serious show car. Hand crafted right here at our New Jersey head quarters using only the best fiberglass and urethane materials.